Could creating your character be likened to an artist creating a sculpture? I believe that character is not something that just happens by itself, any more than a chisel can create a work of art without the hand of an artist guiding it. In both instances, a conscious decision for a specific outcome has been made. A conscious process is at work. Character is the result of hundreds and hundreds of choices you make that gradually turn who you are, at any given moment, into who you want to be. If that decision-making process is not present, you will still be somebody. You will still be alive but may have a personality rather than a character. Character is not something you were born with and can't change. In fact, because you weren't born with it, it is something that you must take responsibility for creating. I don't believe that adversity by itself builds character, and I certainly don't think that success erodes it. Character is built by how you respond to what happens in your life—whether it's winning every game, losing every game, getting rich or dealing with hard times. You build character out of certain qualities that you must create and diligently nurture within yourself—just like you would plant and water a seed, or gather wood and build a campfire. You've got to look for those things in your heart and in your gut. You've got to chisel away in order to find them, just like chiseling away the rock to create the sculpture that previously only existed in your imagination. But do you want to know the really amazing thing about character? If you are sincerely committed to making yourself into the person you want to be, you'll not only create those qualities, but you'll continually strengthen them. And you will recreate them in abundance even as you are drawing on them every day of your life. Character sustains itself and nurtures itself as it is being put to work, tested and challenged. Once it is formed, character will serve as a solid, lasting foundation upon which to build the life you desire. Here's The #Zdanis Team Recognition Report For Last Week! The #USANA Hub Has Gone Mobile! Life is wireless. Your business should be, too. With our new USANA Mobile Hub app, the world is your office. Run your business from your smartphone or tablet anywhere you can connect to the Internet. Now you’re free to roam. And while you’re exploring the wide world, you can check your volume report, access your personalized collection of widgets from The Hub, watch and share our amazing videos, shop USANA on the go, and stay current on important USANA news. The Mobile Hub app quickly links you to the True Health Assessment (THA) and provides easy access to our powerful online enrollment tool. Subscribers to the Business Accelerator Suite can take advantage of Team Manager and easily build custom reports right in the app. We live in a mobile world. Start taking advantage of it today. 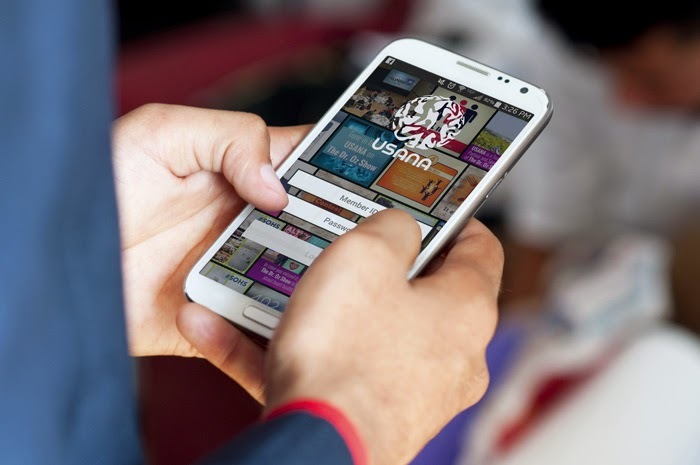 Download the new USANA Mobile Hub for Android or iOS, now. And check out the app’s FAQs for more information. 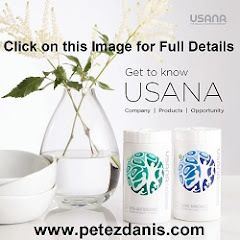 SALT LAKE CITY, March 19, 2015 /PRNewswire/ -- Amid the controversy surrounding the purity of nutritional supplements, USANA stands out, once again, as a nutritional company you can trust. ConsumerLab.com, an independent testing body of health and nutrition products, recently tested USANA's CoQ10 supplement —CoQuinone® 30 — giving it the highest rating possible, the Approved Quality Product Seal. "Receiving yet another seal of approval from ConsumerLab.com comes as no surprise because USANA is committed to manufacturing the highest quality supplements on the market," says Dan Macuga, USANA's chief communication officer. "What we state on the label is truly what is in our products." 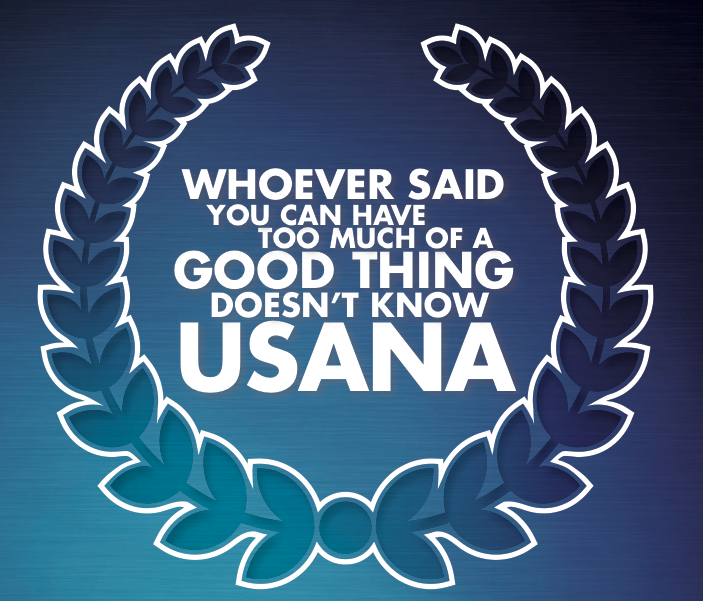 Not only have multiple USANA products been given the distinguished seal of approval from ConsumerLab.com, but the FDA-registered manufacturer has also been certified through NSF — a public health and safety organization. Consumers purchasing NSF-certified products are assured the company complies with strict standards for quality and safety. "We encourage all consumers to only purchase supplements that have gone through rigorous testing through a reputable third-party, such as ConsumerLab.com, to ensure product safety and potency," says Brian Dixon, USANA's executive director of health and science education. Keeping health and nutritional companies honest about product claims since 1999, ConsumerLab.com has tested more than 4,300 products and freely publishes its testing methods for public review. The ultimate expression of life is not a paycheck. The ultimate expression of life is not a Mercedes. The ultimate expression of life is not a million dollars, a bank account, or a home. 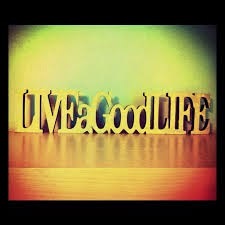 The ultimate expression of life, in my opinion, is living a good life. 1. Productivity. You won't be happy if you don't produce. The game of life is not rest. We must rest, but only long enough to gather strength to get back to productivity. What's the reason for the seasons and the seeds, the soil and the sunshine, the rain and the miracle of life? It's to see what you can do with it—to try your hand to see what you can do. 2. Good friends. Friendship is probably the greatest support system in the world. Don't deny yourself the time to develop it. Nothing can match it. It's extraordinary in its benefit. Friends are those wonderful people who know all about you and still like you. 3. Your culture. Language, music, ceremonies, traditions, dress - all of that is so vitally important that you must keep it alive. It is the uniqueness of all of us that, when blended together, brings vitality, energy, power, influence, uniqueness and rightness to the world. 4. Spirituality. It helps to form the foundation of the family that builds the nation. And make sure you study, practice and teach. Don't be careless about the spiritual part of your nature; it's what makes us who we are—different from animal, dogs, cats, birds and mice. 5. Don't miss anything. My parents taught me not to miss anything. Don't miss the game; don't miss the performance; don't miss the movie; don't miss the show; don't miss the dance. Go to everything you possibly can. Buy a ticket to everything you possibly can. Go see everything and experience all you possibly can. 6. Your family and the inner circle. Invest in them and they'll invest in you. Inspire them and they'll inspire you. Take care of the details with your inner circle. If a father walks out of the house and he can still feel his daughter's kiss on his face all day, he's a powerful man. If a husband walks out of the house and he can still feel the imprint of his wife's arms around his body, he's invincible all day. It's the special stuff with your inner circle that makes you strong and powerful and influential. So don't miss that opportunity. Make sure in your busy day to remember the true purpose and the reasons you do what you do. May you truly live the kind of life that will bring the fruit and rewards that you desire. SALT LAKE CITY, March 13, 2015 /PRNewswire/ -- When you compete at the highest levels your health is key, which is why the Women's Tennis Association's (WTA) World No.5 ranked player Caroline Wozniacki is the newest advocate of USANA Health Sciences. The former world No.1 joins more than 700-plus elite athletes who trust their health to USANA, including fellow Brand Ambassadors Genie Bouchard (CAN), Madison Keys (USA), Samantha Stosur (AUS), Sloane Stephens (USA), Monica Puig (PUR), Zhang Shuai (CHN), and newly signed Zheng Saisai (CHN). Caroline Wozniacki signs with USANA Health Sciences. "Right now I feel very passionate about my game and that I am playing better now than I have in past years," said Wozniacki. "I feel better mentally and physically than I did this time last year and am excited to see what opportunities this season brings my way. I'm thankful to be able to team up with a company like USANA that cares about my well-being and I know we can do great things together." The 24-year-old Danish star, who has recently made headlines for her impressive finish in the 2014 NYC Marathon and an appearance in the 2015 Sports Illustrated Swimsuit Issue, is currently in her tenth year on tour, and holds an impressive 23 WTA titles to her name. Wozniacki has also represented Denmark in the 2008 and 2012 Olympic Games. "For nearly 10 years we have we have been proud and honored to associate ourselves with the WTA and its elite female athletes from around the world," said Dan Macuga, USANA chief communications officer. "We are thrilled to welcome Caroline to Team USANA and look forward to watching her excel in all of her endeavors." Through her partnership, Wozniacki has also helped kick-start the nutritional company and WTA's annual "Aces for Humanity" campaign to aid the USANA True Health Foundation whose mission is to provide critical nutrition to those who are suffering or in need. Beginning at the BNP Paribas Open in Indian Wells, every ace served at Premier-level WTA events will translate into a donation for the Foundation. For every ace served by Wozniacki and USANA's seven other Ambassadors the WTA will donate $10, and for every ace served by any other player, the WTA will donate $5. "I'm really impressed by USANA's commitment to helping others and what the USANA True Health Foundation has accomplished over the past three years," said Wozniacki. "I'm proud to join the WTA and USANA in their efforts and am excited to help kick off this year's 'Aces for Humanity' campaign to help bring more awareness to this cause." Collectively, USANA's Ambassadors hit 412 of the 4,314 aces served last season leading to an overall $25,000 donation to the not-for-profit charity. Funds from the initiative helped aid those affected in the Philippines by typhoon Haiyan, providing medical aid, supplies to build new boats, and restoring clean water systems. The WTA is the global leader in women's professional sport with more than 2,500 players representing 92 nations competing for a record $129 million in prize money at the WTA's 55 events and four Grand Slams in 33 countries. Nearly 5.4 million fans attended women's tennis events in 2014 with millions more watching on television and digital channels around the world. The 2015 WTA competitive season concludes with the BNP Paribas WTA Finals Singapore, presented by SC Global, from October 23-November 1, 2015 and the WTA Elite Trophy in Zhuhai, China, from November 2-8, 2015. Further information on the WTA can be found at www.wtatennis.com ; facebook.com/WTA and twitter.com/WTA. 1. Reset Challenge ­ The Reset Nation Challenge is going strong. So far, the U.S. participants have lost almost 8,000 pounds so far!! Remember the current Reset Nation Challenge is in full swing and will be running through March 29, 2015. There is still time for you and your team to opt-in and participate! Entering is easy. 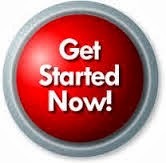 Simply visit the Reset Nation website and opt in at http://www.resetnationchallenge.com. Plus, we have tools to get you going. Be sure to visit Communication Edge for all tools. The Communication Edge can be found by clicking the My Business tab on the HUB. 2. Success on the High Seas ­ Have you or your team members opted-in for the Success on the High Seas? If not, there is still time for you and your team to opt-in. What does it mean by ³opt-in²? USANA allows all Associates to work towards achieving our yearly incentive trip. By opting-in you are simply alerting USANA you are working towards the trip, so we can track your progress and alert you when you have reached certain milestones. However, you MUST Opt-in in order to win the trip. Success on the High Seas allows you and your team the opportunity to spend time in the sun and have fun with the USANA family. Over the remaining 18 weeks of the qualification period, we will be sending out a customized email to those Associates who have opted-in to show progress and help you and your teams plan for the rest of the qualification period. To participate you must opt in. Once you opt in we will track your growth in Commission Volume Points (CVP) from July 5, 2014, to July 3, 2015. We will compare that to your CVP growth over the previous year, July 6, 2013 to July 4, 2014. 3. Dr. Oz Show Business Plan and Timelines ­ Now that USANA is Trusted Partner and Sponsor of the Doctor Oz Show, you have an amazing opportunity to grow your business and create brand awareness. To help you promote the opportunity, each month USANA will be creating a Business Plan related to the content on the upcoming Dr. Oz Show that you can use to know where tools are, have speaking points about what is going to be featured on the show, and have a timeline for your marketing purposes with suggested activities. Look for this tool coming up in the Newsletter, Rotating Story, and on the Tips and Tools page on the Hub. Topic: Business Tools, Timelines, and Strategies that you can use today in promoting your business with USANA being a Trusted Partner and Sponsor of the Dr. Oz Show. 1. High Performance Summit ­ will be held Thursday and Friday April 23 & 24, 2015, It¹s the perfect place for you to learn how to develop the next generation of leaders. Up and coming leaders need to achieve the rank of Gold by April 17th in order to be able to attend the entire High Performance Summit. 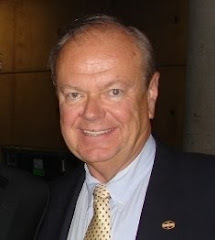 *Beginning 2/27/15 thru 3/7/15 USANA will be giving an exclusive invitation for new Directors, Bronze Directors, and Silver Directors (new rank advancement since Convention 2014) to attend the Friday, April 24th Eric Worre training at High Performance Summit. There are only 300 of these exclusive tickets available on a first come, first serve basis. Ticket price will be $129 and include admission to Friday¹s training and the U.S National Celebration on Saturday, April 25. On 3/9/15 if there are additional tickets available all U.S. based Directors, Bronze Directors, and Silver Directors will be eligible to purchase the $129 ticket for Friday¹s Eric Worre training and the Saturday U.S National Celebration while ticket supplies last. Eligible Associates must call Customer Service in order to purchase their $129 ticket. 2. U.S. National Celebration Gala, on Friday evening April 24, 2015, will be your chance to join USANA¹s management team in recognizing the U.S. Field¹s achievements and successes. This recognition is exclusive to the entire U.S Market and will be your chance to be celebrated by your peers. 3. U.S. National Celebration ­ The 2015 U.S. National Celebration brings many words to mind: training, team bonding, awards, gala, business-building tips, and incredible speakers. The Celebration will be held Saturday, April 25, 2015. Mark your calendar, and don¹t miss this week of exciting events! 5. Doctors Are In Tour ­ We are currently in the planning stages for the upcoming Doctors Are In Tour. We will be visiting many locations throughout the United States from May 2 ­ May 16, 2015. This tour will feature events in English, Spanish or Chinese. Doctors Are In Tour is a guest-focused tour that will feature some of our incredible doctors and scientists. 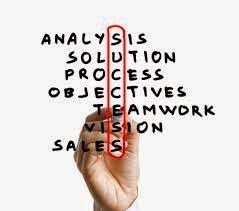 They will focus on why the importance of supplementation, why USANA, and the USANA Difference. Details for this tour will be available on the hub at the beginning of April. 6. International Convention ­ We are currently in the planning stages for the upcoming Doctors Are In Tour. We will be visiting many locations throughout the United States from May 2 ­ May 16, 2015. This tour will feature events in English, Spanish or Chinese. Doctors Are In Tour is a guest-focused tour that will feature some of our incredible doctors and scientists. 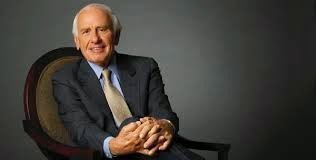 They will focus on why the importance of supplementation, why USANA, and the USANA Difference. Details for this tour will be available on the hub at the beginning of April.